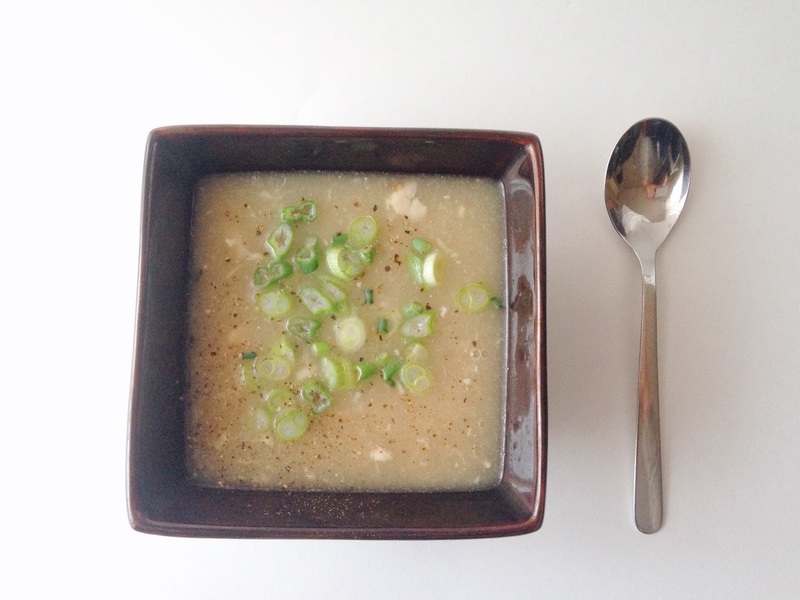 Grandma's Korean chicken soup (Samgyetang 삼계탕) was always one of my favorites when I was a young Chung. It was warming, delicious and comforting. But the only caveat: I loathed trying to navigate eating the chicken with all of its little bones getting all up in my business (traditional samgyetang is made with stuffed cornish hens). So to avoid the labor of stuffing little cornish hens and to further avoid the tiny bones upon consumption, I've been making myself a very low maintenance version of the soup. 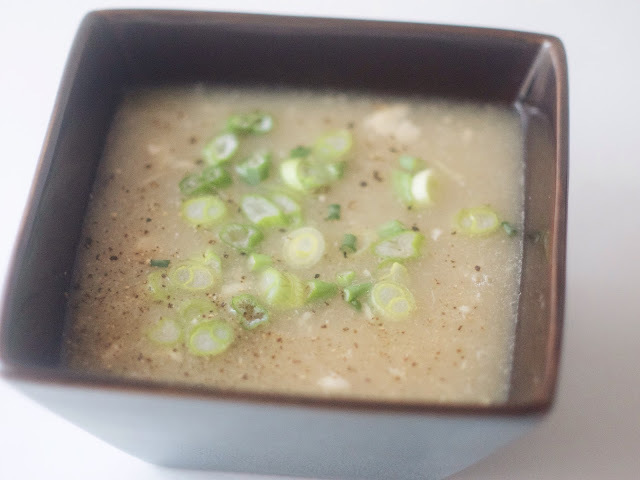 It's a suitable substitute and an easy way to make Grandma's soup anytime. And I added my own spin by adding a little bit of fresh ginger, which is a more Chinese flavor. My favorite hangover/sick day meal was Chinese Chicken and Rice soup from the cheap Chinese restaurant that delivered when I lived in Miami Beach. 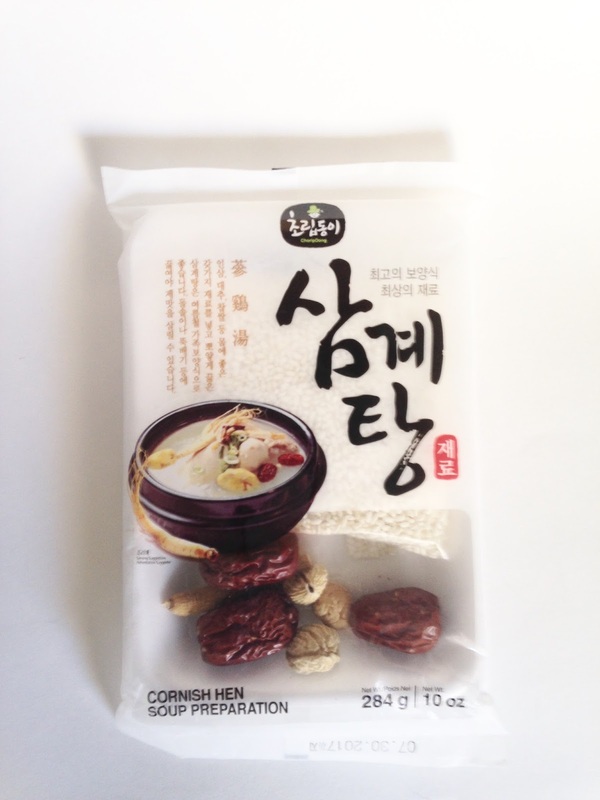 Finding a samgyetang soup packet in the dry section of an Asian market helps a ton since it contains red dates (jujubes), ginseng, sweet rice and chestnuts. But even if you can't find it or the other ingredients separately, I would say the sweet rice is a must and easy to find in Asian markets. I tried using American dates from the supermarket and those didn't yield the best results. 1. Soak rice in water for one hour. Then rinse, drain and set aside. 2. Place broth in a large pot and add in rice, garlic, jujubes, ginseng, ginger and chestnuts. Bring to a boil. Then add in chicken thighs. Reduce heat to bring to a simmer and cook for at least 45-60 minutes or until rice is cooked--tender and translucent. 3. Once cooked, season with salt and pepper. Remove garlic, jujubes, gingseng, ginger and chestnuts before serving. Remove chicken and let cool. Then shred chicken and return back to pot. Top with green onion and serve. Enjoy!